Further to developments at Independent News and Media. Refresh your memory stick with our comprehensive timeline of how we got here. March 2, 2011:- The second and final report of the Moriarty Tribunal finds that former communications minister Michael Lowry had ‘secured the winning’ of the 1995 mobile licence for Denis O’Brien’s Esat Digifone. Judge Michael Moriarty finds the relationship between Mr O’Brien and Mr Lowry during the bid to be ‘an irregular and improper relationship between business and politics’. He describes two sterling payments to Mr Lowry by Mr O’Brien subsequent to the award, in 1996 and 1999, of £147,000 and £300,000 as ‘demonstrably referable to the acts and conduct of Mr Lowry’ during the licence process. The findings of the tribunal are strongly disputed by Mr O’Brien. October 15, 2011:– Denis O’Brien’s radio station Today FM confirms that journalist Sam Smyth’s Sunday radio show is being dropped as part of an initiative “to address a decline in listenership and to improve programming quality.” Smyth had previously commented in a newspaper and on television about Today FM’s owner O’Brien’s involvement in the Moriarty Tribunal. April, 2012:– Mr O’Brien seizes control of Independent News and Media (“INM”) from the O’Reilly family. Tony O’Reilly’s son Gavin steps down as Chief Executive of INM. May 8, 2012:– INM terminates the contract of Karl Brophy, INM Director of Corporate Affairs and Content Development. Brophy subsequently initiates proceedings for unfair dismissal against INM. September 2012:– Evening Herald editor Stephen Rae is appointed editor of the Irish Independent following the retirement of previous editor Gerry O’Regan. October 2012:– Giving evidence in his unfair dismissal proceedings, Mr Brophy alleges receipt of “bizarre and threatening” text messages from Denis O’Brien’s spokesman, James Morrissey, about negative INM coverage of Mr O’Brien. Mr Brophy’s unfair dismissal proceedings against INM are subsequently settled. February 17, 2013:– The Sunday Business Post reports that Gavin O’Reilly is to be a director of a new public affairs consultancy being set up by Karl Brophy. 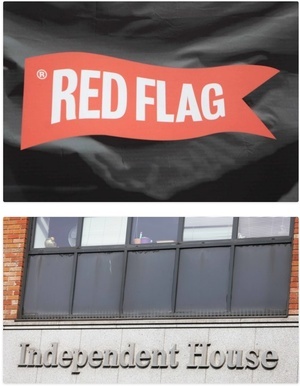 The company’s name is Red Flag. Mr O’Reilly is subsequently appointed chairman. June, 2013:- Irish Independent editor Stephen Rae is appointed Editor-in-Chief of INM responsible for the Irish Independent, the Sunday Independent and the Herald. A statement from INM says that each newspaper will still retain its own editor, but Rae will be charged with ensure the titles are collaborative while still retaining their “unique tone of voice and ethos”. July 19, 2014:- Mr Rae, in his role as group editor of INM, orders the presses to be stopped to amend a column written by Sunday Independent editor Anne Harris which features references to Denis O’Brien. Copies of the original article did however appear, allowing comparisons between the two. Harris originally wrote: “Denis O’Brien is the major shareholder in INM. In theory, with 29% of the shares, he does not control it. In practice, he does.” The last sentence was deleted. October 2014: The data breach, involving 19 listed people, begins. December, 2014:– Anne Harris resigns as editor of the Sunday Independent. 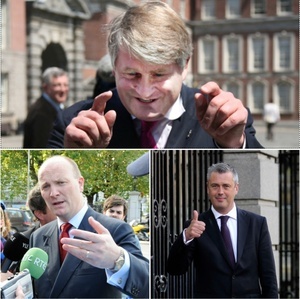 June, 2015:– Colm Keaveney TD gives a speech in the Dáil alleging that Denis O’Brien was linked by the Moriarty Tribunal to “the largest single act of public corruption in monetary terms”. 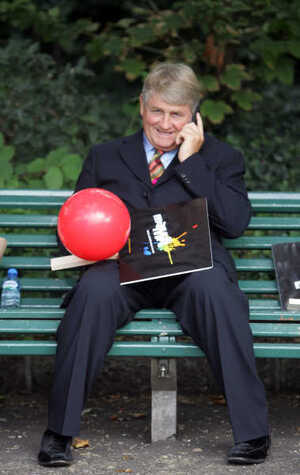 October 8-9, 2015:– According to an affidavit subsequently sworn by Denis O’Brien, he arrives at the headquarters of the Communicorp Group, Grand Canal Quay, Dublin 2 to find an envelope containing a USB memory stick waiting for him on his desk. An access password “Chelsea10,”, was written on the inside of the envelope (which was not retained). Mr O’Brien said he gave the memory stick to his solicitor Aidan Eames who passed it on to cybersecurity and digital forensic analysis expert Espion. A subsequent report by Espion identifies the stick as containing a dossier on Mr O’Brien compiled by Red Flag containing copies of various articles about Mr O’Brien published in the media and a draft of Mr Keaveney’s speech, amended by Karl Brophy. 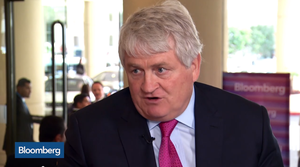 October 13, 2015:– Denis O’Brien applies to the High Court for a search and seizure order allowing lawyers and investigators enter Red Flag’s offices to take control of the firm’s computers for the purposes of identifying the client who had commissioned the dossier. His Affidavit refers to an investigation commissioned by him into negative news stories against him having preceded the receipt of the stick. The President of the High Court, Nicholas Kearns, refuses to grant the order sought but grants an order preventing Red Flag interfering with or removing computer material and other IT items from its offices. October 14, 2015:– The USB memory stick is given to Martin Coyne, of digital forensics company Digitpol, and taken by him to the company’s offices in Rotterdam. October 16, 2015:– Judge Colm MacEochaidh refuses Red Flag’s application for handover of the USB memory stick. Instead, he directs that it be given to Aidan Eames to hold pending further order, stating that there should be no interference with the stick. The fact that the stick is currently with Digitpol in Rotterdam is not disclosed to the Court or to Red Flag. October 18, 2015:– Journalist Mark Hollingsworth, allegedly working on a freelance article regarding Denis O’Brien, tells the Sunday Business Post that he had obtained a copy of the dossier from Red Flag, but that he had not passed it on to anyone. Subsequently, it is alleged that Hollingsworth had been asked “look into” Mr O’Brien’s finances by Ambrose Carey, the co-founder and director of the London-based consultancy, Alaco. October 24, 2015:– While in the custody of Digitpol, eight files are written onto the USB memory stick and subsequently overwritten and deleted, although fragments remain. October 26, 2015:– The USB memory stick is returned to the jurisdiction. October 29, 2015:– Red Flag is told that the USB memory stick is in the custody of Aidan Eames but is not told that it has only recently come into his possession. November 10-12, 2015:– The USB key is sent back to Espion before being returned to Eames solicitors. December 8-11, 2015:– Judge Colm MacEochaidh rejects an application by Denis O’Brien for an order compelling Red Flag to disclose the identity of the client for whom the dossier was prepared. In the course of the hearing, Denis O’Brien’s barrister Michael Cush SC states that, although the USB memory stick was obtained during the course of an investigation which Denis O’Brien had commissioned from chartered accountant John Whelehan, of Kiev, Ukraine, into the suspected campaign against him, it was obtained in addition to, and not as a result of this investigation. Any statement in Mr O’Brien’s original Affidavit to the contrary was incorrect. December 11, 2015:– Stroz Friedberg, an international cyber intelligence consultancy engaged by Red Flag, visits the offices of Eames solicitors to inspect the memory stick. A subsequent report by it identifies significant contamination of the stick as having taken place on 24 October, 2015 and again between 10-12 November, 2015. December 16, 2015:– Colm Keaveney TD issues defamation proceedings against INM in respect of an article alleging that Red Flag was involved in drafting his Dáil speech. Mr Keaveney had previously said the speech was not influenced by any third party. February 2016:– Judge Colm MacEochaidh refuses to grant orders compelling Red Flag to discover documents relating to the preparation of the dossier or the identity of the client for whom the dossier was prepared. May, 2016:– Denis O’Brien sues Colm Keaveney for defamation arising out of the draft speech in the Red Flag dossier, seeking aggravated and exemplary damages. June, 2016:– Colm Keaveney applies for voluntary bankruptcy and is declared bankrupt. 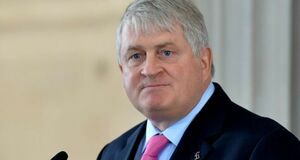 October 13, 2017:– The Court of Appeal rejects Denis O’Brien’s appeal against the refusal by Judge MacEochaidh of his discovery request. The same day, O’Brien settles his legal action against Colm Keaveney. December 4, 2017:– Mr Keaveney swears an affidavit for Denis O’Brien, in his proceedings against Red Flag, disclosing that he ‘believes’ businessman Declan Ganley, who lost to Mr O’Brien for the mobile licence – the subject of the Moriarty tribunal – was the Red Flag client for whom the dossier had been prepared. December 2017:– Based on Keaveney’s affidavit, Denis O’Brien’s legal team lodge a motion to join Declan Ganley as a co-defendant to the proceedings against Red Flag. January 2018: Alan Hynes, Keaveney’s former parliamentary assistant swears an affidavit on behalf of Red Flag, alleging that the veracity of Keaveney’s averments were tainted by the fact that he had agreed to co-operate with Mr O’Brien as part of the settlement of the defamation proceedings against him. According to Mr Hynes, Keaveney had told him that he had met with a representative of Denis O’Brien, and had said to him: “Just tell me what he [O’Brien] wants said and I’ll say it.” Mr Keaveney files a further affidavit rejecting Hynes’ version of events. March 22, 2018:– The High Court grants an order joining Declan Ganley as co-defendant to the Red Flag litigation. March 24, 2018:– It is reported that the Office of the Director of Corporate Enforcement (ODCE) is to apply to the High Court on April 16, 2018, to appoint inspectors to investigate Independent News and Media (INM). April 1: An affidavit filed by ODCE director Ian Drennan states that data involving 19 listed people was removed from the company’s premises, taken out of the jurisdiction and “interrogated” by at least six companies external to INM. The list of 19 includes Jerry Healy SC and Jacqueline O’Brien SC (both of whom acted as counsel for the Moriarty Tribunal) as well as former INM board members and employees Karl Brophy, Mandy Scott (now also of Red Flag), Vincent Crowley, Donal Buggy, Joe Webb and James Osborne; journalists Sam Smyth, Maeve Sheehan, Brendan O’Connor; and public relations executive Rory Godson. The ODCE director claims the data interrogation was directed by then INM chairman Leslie Buckley and paid for by Blaydon Limited, an Isle of Man company beneficially owned by Mr O’Brien. Earlier: Why Did You Pay To Have These People Hacked? Posted in Misc and tagged Denis O'Brien, Red Flag at 4:52 pm on April 3, 2018 by Bodger. 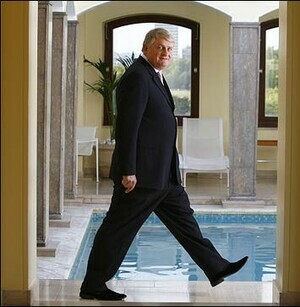 : “Denis O’Brien is the majority shareholder in INM. In theory, with 29% of the shares, he does not control it. In practice, he does.” The last sentence was deleted. The last sentence – ‘In practice, he does.’ – was deleted. That is, the implication that DOB controls INM was deleted. Clear enough for you? How can you sue for a defamatory speech that was not published, but only publicised when stolen, and published by the person it was criticising. Why not just bury it? He’s mainly suing for conspiracy to defame? And in doing so just confirms that he’s a paranoid control freak and does greater damage to his reputation than any speech could have. Is he not supposed to be an intelligent man. I don’t see it. The fact he seems paranoid doesn’t mean there weren’t people out to get him. Based on what’s come to light in this, it seems he might be on the right track. I’ve no idea if he’s intelligent. He seems determined – he obviously lost a ton of money in INM so he gets some things wrong anyway. He’s not so much determined as he is a bully who can afford to try and silence or intimidate any living thing that he feels might attempt to sully what he likes to call his “good name”. He’ll sue you for thinking bad thoughts about him. Couple of points for clarity. Gavin O’Reilly is Chairman of Red Flag. Keaveny has loads of texts & emails from Brophy covering his speeches in the Dail & PQs. This is going to be fun. Rich men who no one gives a toss about trying to damage each other. Paranoia. Greed. Revenge. Corporate Espionage. Faces you’d love to punch. Dirty politics .FF paw marks all over it as well as FG. No wonder the Irish told Dinny where to shove his water meters. Yes, look up me fein and you’ll see his mug. Bankrupt in more ways than one. Good Job Bodger and BS. Apart from Gene Kerrigan the rest of the so called journalists in I.N.M are a bunch of right wing propaganda hacks bought and paid for by D.O.B .Ask Gemma O’Doherty how she was treated when she uncovered speeding fines scandal by I.N.M.